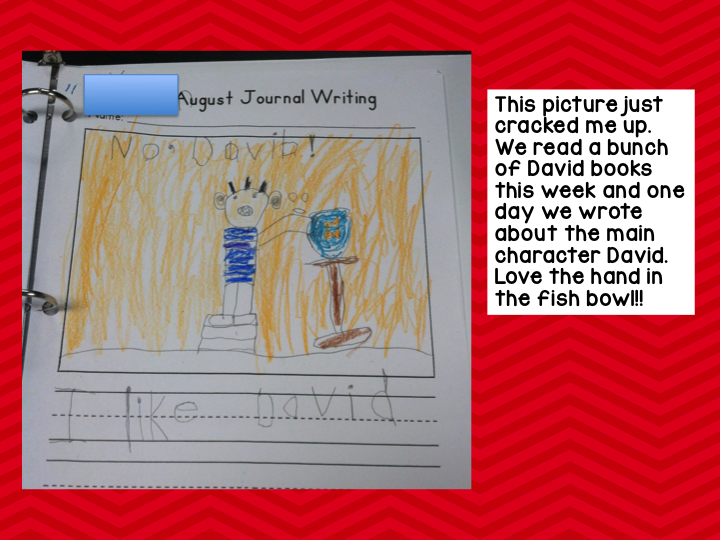 We just completed our first full 4 days of kindergarten. The students have off Friday and teachers in our district have inservice on SLO's for the 2014-2015 school year. 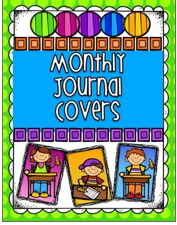 Our math journals continue to be a big seller on our TPT store. 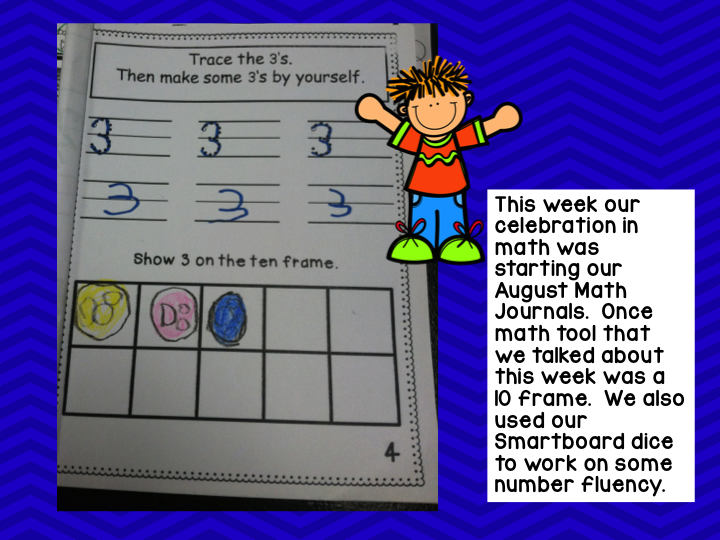 We have a math journal for each month. 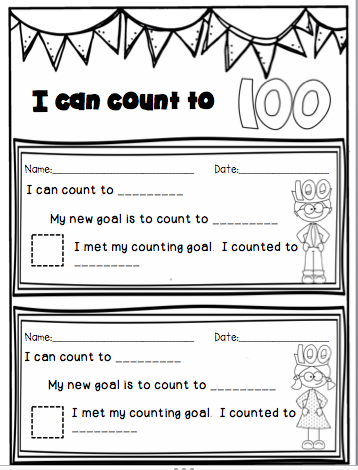 One of the best things about them is that you just copy them, staple them, and they are ready to go. Shhhhh...this year I have them copied for the entire year!! SOOOOOOO easy! 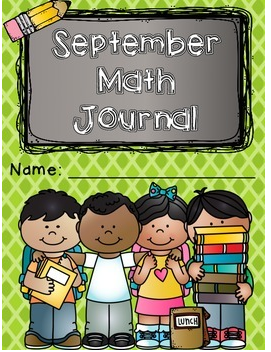 Click here for our September Math Journals on our TPT store. The Mailbox generously offered to give away 10 subscriptions for one free year of The Mailbox Gold to 10 lucky Busy Bee followers. We finally have our list of 10 winners that will be contacted soon by The Mailbox. These winners either left us an email or contacted us via Facebook. Thanks everyone for entering!! Our winners are: Mrs. King, Kelly Brown, Robin Carrier, Dana Lester, Kristina Pritchard, Kim Miller, Maggie Gearing, Kelee Garmong, Alyson Combs, and Elizabeth Helser. 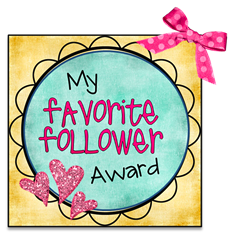 Congratulations and thanks again for entering and for The Mailbox for sponsoring the Be the Difference giveaway. 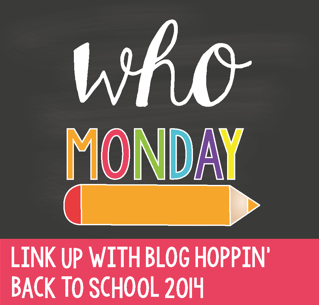 I am linking up with Blog Hoppin' for their Teacher Week: Who. The one that really sticks out to me is the singing. 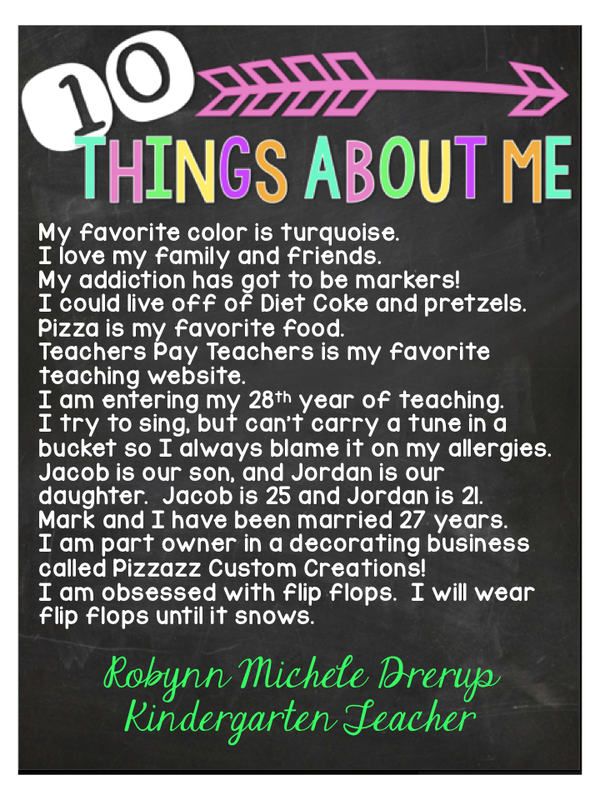 In kindergarten I do a lot of singing and I just always pray that an adult is not standing too close to my door!! We will be posting later tonight our 10 winners for THE MAILBOX GOLD. 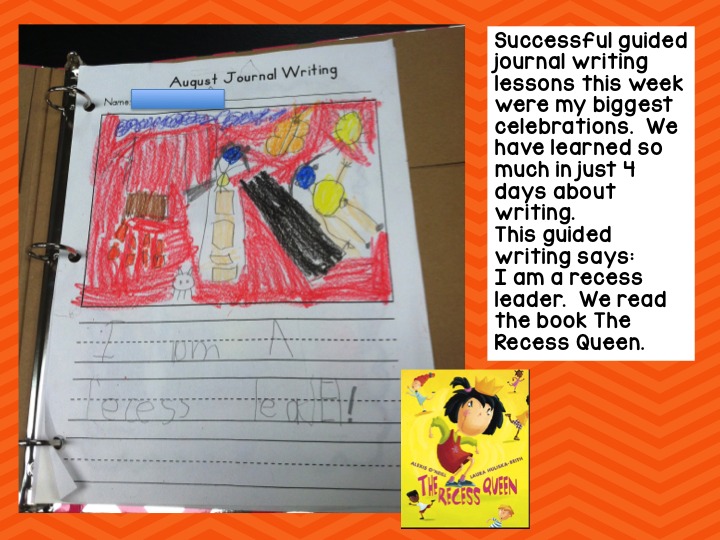 When SueBeth and I started teaching, The Mailbox was a definite hit with all classroom teachers and librarians. Throughout the years, The Mailbox continues to be a "hit" with classroom teachers and librarians and has definitely done its part by keeping up with the 21st century. 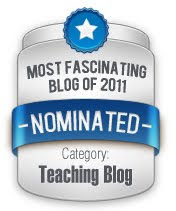 It has gone from being a "magazine" to being a source where you are able to access curriculum ideas online. 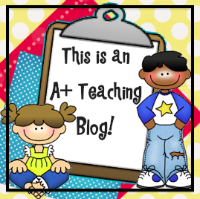 There are TONS of classroom management forms, seasonal worksheets, and even a section called By Common Core Label to name just a few things offered through The Mailbox. In keeping up with the 21st century you are going to want to head to The Mailbox Facebook page and make sure you like this fan page. Once you become a fan of The Maibox Facebook page, you can join the Be The Difference Movement and capture a photo of what you are doing to BE THE DIFFERENCE in your classroom this year onto their Facebook page. 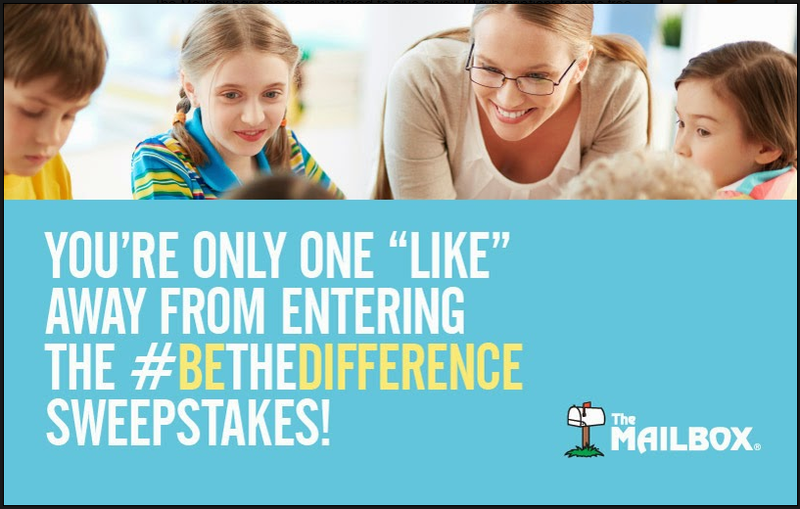 The Mailbox Facebook page also explains the BE THE DIFFERENCE sweepstakes on their fan page. The Mailbox has generously offered to give away 10 subscriptions for one free year of The Mailbox Gold to 10 lucky Busy Bee followers. 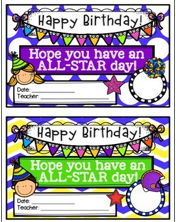 Any teacher/grade level can enter and have a chance to win one of these subscriptions. You can learn more about The Mailbox Gold and all it has to offer by clicking here. To enter to win one of the free subscriptions, leave a comment with your name and email below. The winners will be announced Sunday, August 18th. 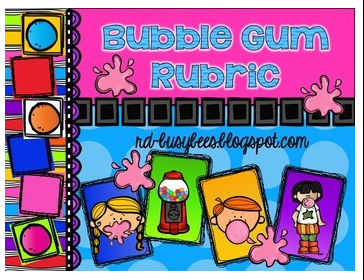 As I have posted in previous posts, we used a Bubble Gum Rubric last year throughout our entire building. This year I decided to jazz it up and put a second one in my classroom so that I have another place to reference to in my classroom. Today I put the finishing touches on it and I am in love with it! I think the kids will love it, too. I did a TON, in my classroom today. I will take pictures tomorrow of what I accomplished today, and get accomplished tomorrow. It was such an easy bulletin board to put together! 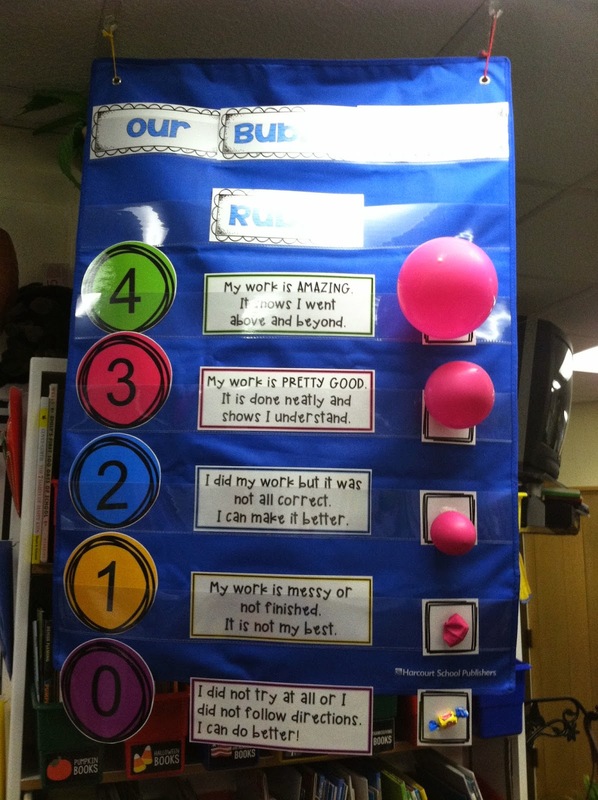 Copied, laminated, placed on the chart, and threw up my bubble gum items(pink balloons). 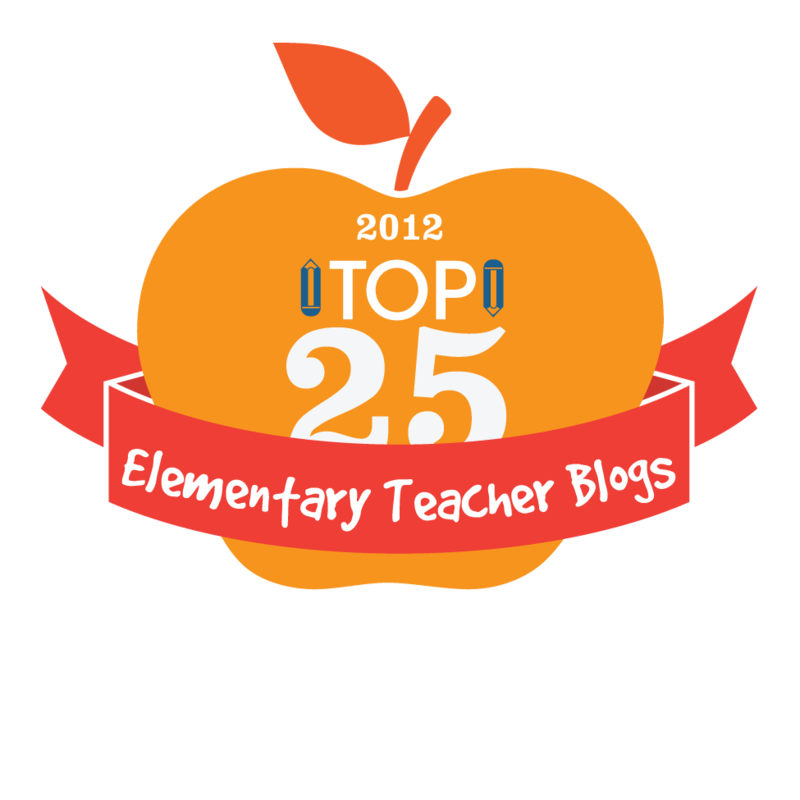 If you want to check it out on our TPT store, click here. This is the latest that our family has ever been able to take family vacations because we always had to work around the kids' sporting schedules. I will have to say that I loved taking a vacation this time of the year because I felt like I had a "vacation" right before it was time to hit my room in full force this week. 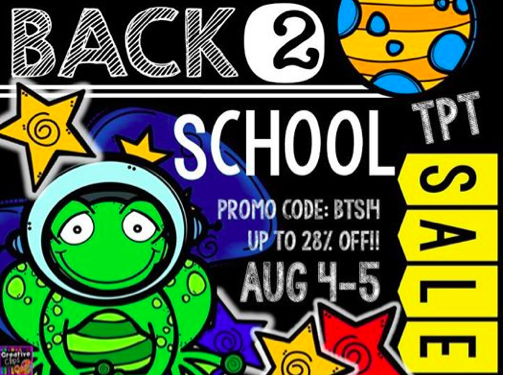 We have some awesome new products that should hit our TPT store just in time for the big sale! Our trip took 14 driving hours each way and for me working on my computer makes time go so much faster!! 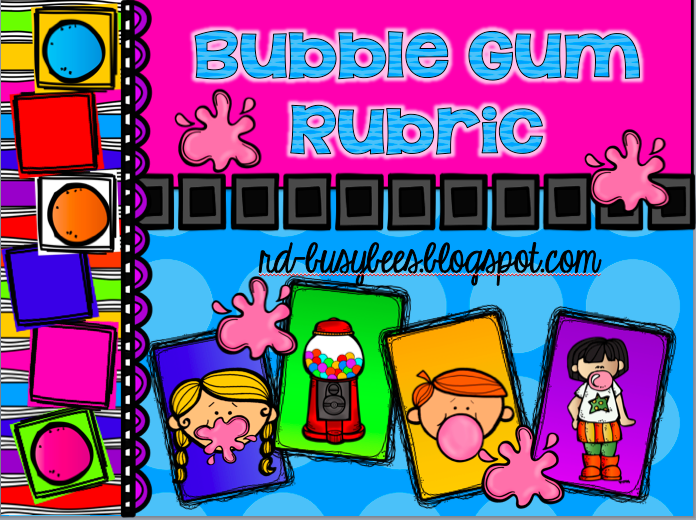 Our entire school implemented a Bubble Gum Rubric last year, Bubble Gum Rubric For Rating Work and Effort On Individual And Group Projects(link to TPT). 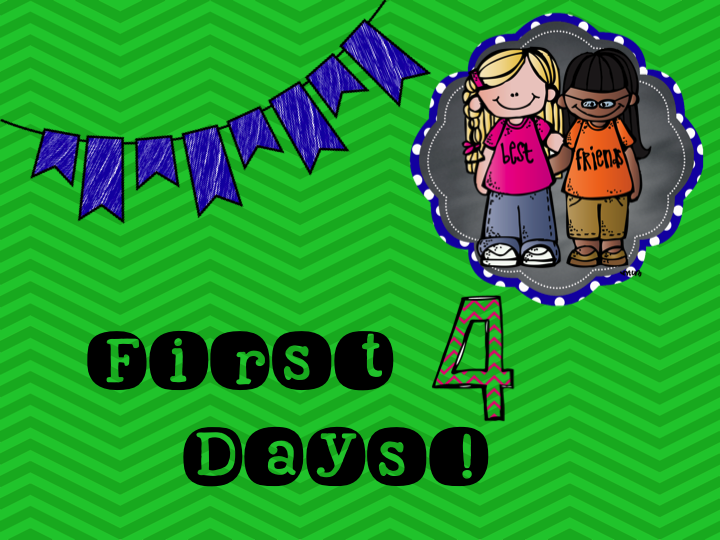 We already created one product last year to help with visually displaying it in our classroom last year, but this year we have created another visual to use in your classroom. 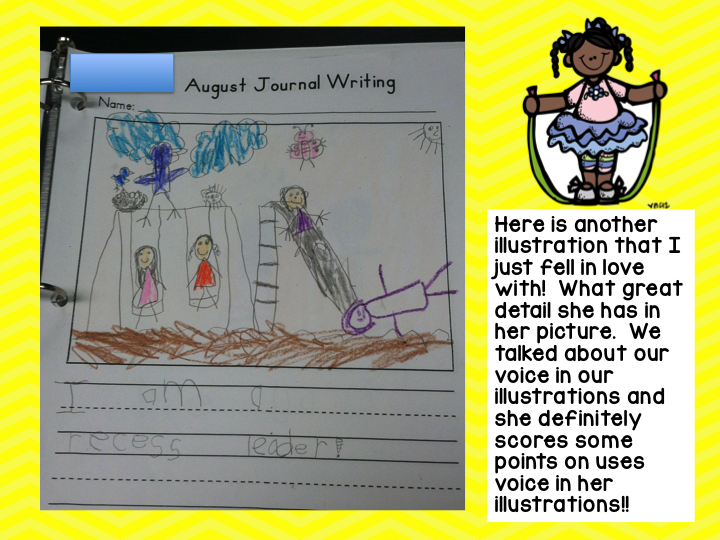 Can't wait to share our new product and take pictures of how I am using it in my classroom. 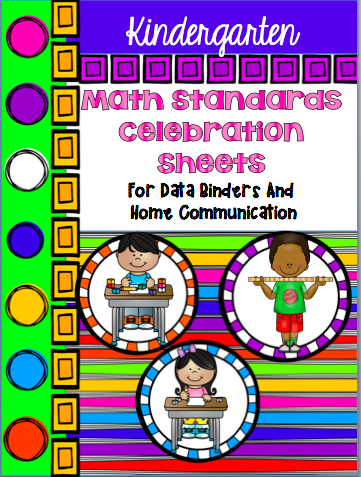 If your district uses the Marzano Evaluation System, then this is the perfect tool for you!! 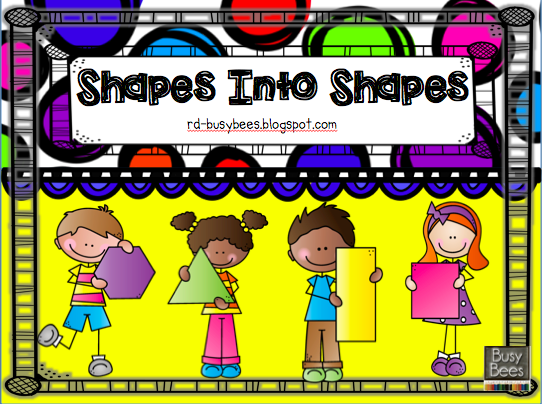 I used it in my kindergarten class last year and the kids/parents/teachers loved it!!! More to come on this rubric. 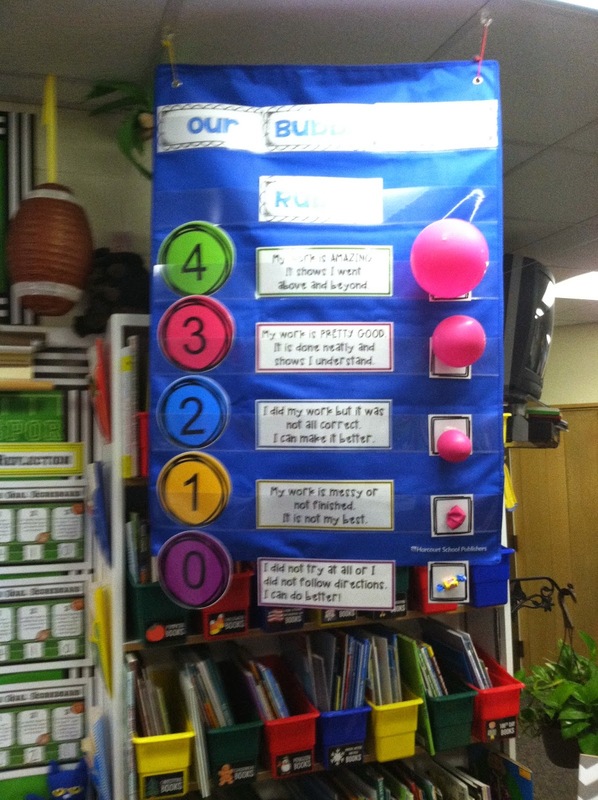 To go along with our Bubble Gum Rubric, our goals need to be posted in our classroom. I jazzed up what I did last year and threw this easy packet together. 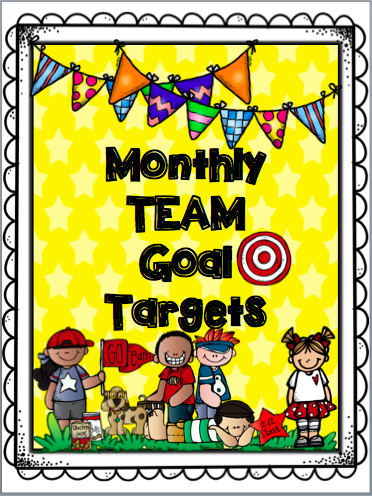 This packet will contain easy templates to use monthly in your room along with easy templates to communicate these goals home to your parents! 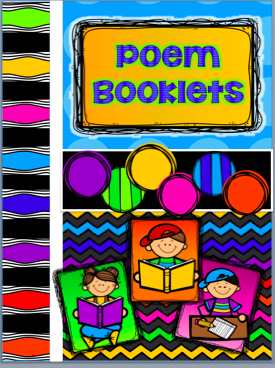 I have done Poem Booklets different for the past several years. Before last year, 2013-2014 school year I bought spiral notebooks or created my own by using blank pages and the binding machine in our buildings. 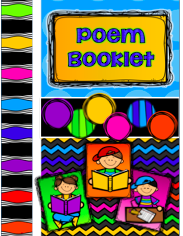 Then I copied the poem we were doing for the week and had to trim the poem so that it would fit into the booklets nicely, pass them out to the kids to glue in, and know that they were gluing it on the wrong page, using too much glue, etc. So, for some reason last year, I got "smart" over the summer and took these poems and threw them into a Poem Booklet. The booklet is already to go, all you have to do is throw it in the copier and it is done for the entire year. I numbered the pages, so when we say today's poem is on page 15, they know right where to find it!! This item is already in our TPT store, so you might want to throw it in your cart before the sale begins! I plan on going in to school tonight and throwing mine in the copier while I work in my room. Tomorrow I am printing the covers, binding it, and it is done for the entire school year. Poem and Song Collection For An Entire Year is the title of this collection. 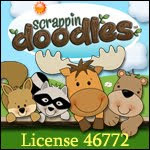 It normally sells for $5.00, but will be on sale during the TPT sale along with all items from our TPT store!! 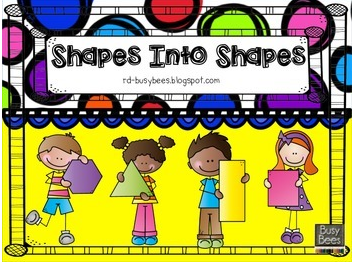 created a new title page this year, so the title page will look different on our TPT store. Still same poems, just an updated look for this year!! Ok, gotta make a Target run before we head the rest of the way home from our vacation to Hilton Head. Then it is off to work on some things for school and relax the rest of the evening. My goal is to have my room done this week to give me one week left to "play". Jacob, our son, and his wife Jerae soaking in some last minute beach fun!! 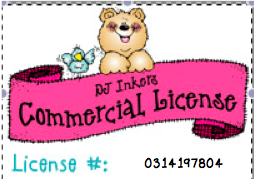 Our daughter, Jordan, could not go due to just starting her new job...bummer! !